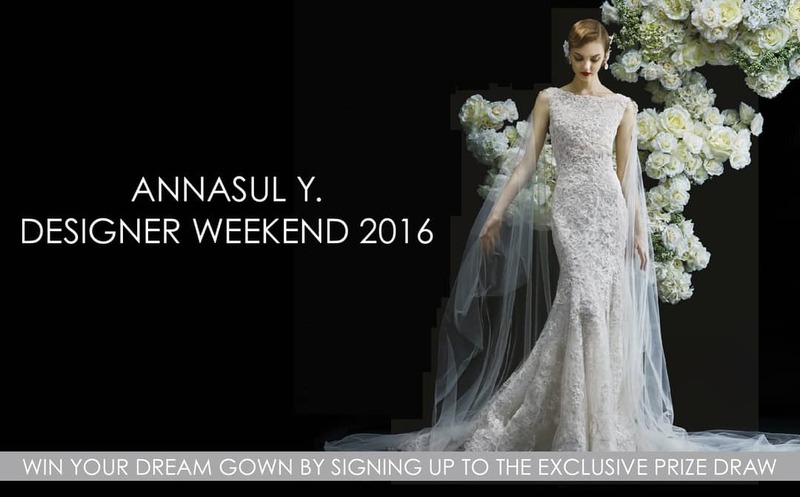 Annasul Y Designer Weekend – 14 – 15 October 2016. Win your dream dress! When you find and order the Annasul Y dress of your dreams, you can enter a free prize draw to win your dress! You will also receive a complimentary gift. This is only available at the Annasul Y Designer weekend! We will have the entire 2017 collection, hot from the catwalks of London, New York & Milan. Annasul Y is a fabulous designer that makes beautiful dresses. They are crafted from the very finest fabrics available and also have a distinctive style. These dresses will help you feel at your very best on your big day!